We all need daily physical activity to improve and maintain our health! As a trained and experienced public health professional, I see no better way to get physical activity than to incorporate it into our every day lives through active modes of transportation. I am so excited to be a part of Alta and its work to create active, healthy communities. Kristin Haukom is experienced in safe routes to school and active transportation planning, policy, program design, and implementation. She has worked with diverse stakeholders at local, regional, state, and national levels. 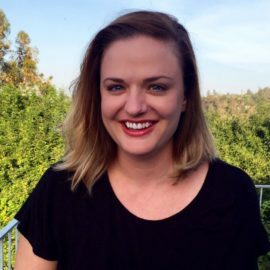 Prior to joining Alta Planning + Design, Kristin worked as the Southern California Safe Routes to School Regional Coordinator for the California Safe Routes to School Technical Assistance Resource Center at the California Department of Public Health. She also worked as the Southern California Active Transportation Regional Coordinator when the program transitioned to become the Active Transportation Resource Center. Kristin is highly regarded as a Safe Routes to School and active transportation content expert. She currently serves as the Co-Chair for the San Diego County Safe Routes to School Coalition.